Every day, the ocean serves up a chance for us to change our ways. That dawned on me when I was walking on the beach in south Florida and noticed, glinting from the sand, the corner of a clear plastic bag. Picking it up, it snapped in the wind and I saw it was still intact. 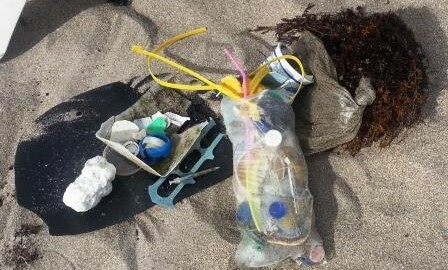 After that, I couldn’t help but use it to collect other stuff left in the wake of the tide: bottle caps and straws, spoons and forks, hair clips and cup lids, and many, many plastic scraps.